Ed Dale is the creator of The Challenge and co-founder of MagCast. These are systems used by thousands of entrepreneurs worldwide to get started and make money online and build their successful digital businesses. Over the past ten years, they’ve helped over 300,000 people worldwide get started online through The Challenge program. Ed’s been fortunate enough to experience the “Million Dollar” product launch using the exact same strategies he taught in his programmes. Why he thinks podcasting is so hot all of a sudden? Make Money Online Quicker Than You Probably Think! When someone is considering a podcast as a medium, how do they know if it’s for them? “There are some people that aren’t naturally inclined, they’re not happy having conversations. However, most people who are entrepreneurial in nature tend to be quite comfortable having discussions. Because, at the end of the day, two mates having a talk is what this is all about. We haven’t sat down and intimately planned what we are going to say, but hopefully people got some really good value out of it. To me, that’s the most important thing. What are the most important things to consider to make money online through podcasting? The way you deliver value to your audience. You are providing pain relievers to your audience. They have problems, challenges… they have complaints. So, in your podcast, if you can be a great provider of pain relievers to those problems, you’re getting engagement. You’re going to build your tribe. If you can show people how to move from where they are to where they want to be in your podcast, then you’re getting engagement. You’re providing value by definition. If you can help people with their jobs in your niche then that’s true engagement, that’s true value. 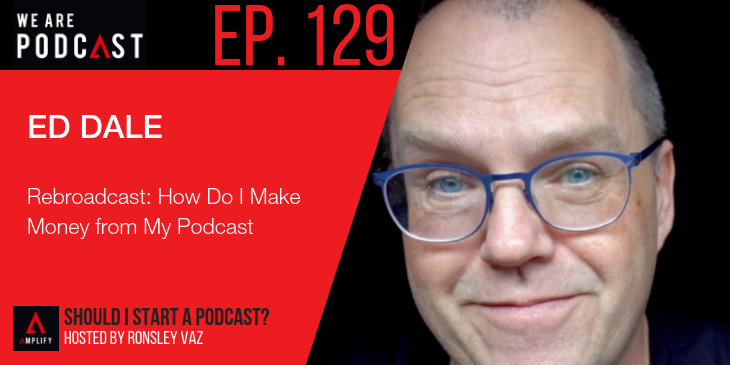 You need to create a list of your podcast listeners. You need to be able to communicate with them. When I say list, I mean emails or addresses. You need to be able to communicate with all tribes outside the room of a podcast. You need to do that by building a list. If you can help people to enjoy their niche more or solve their problems, you’re doing great and people will love you for it. And how do you do that? You do that by providing value, but also not being afraid.